Karen recently gave me 19 Ways of Looking at Wang Wei. This small book is a compilation of 19 translations of Wang Wei’s (7th century Chinese poet) poem, Deer Park, alongside an essay by Eliot Weinberger, and a concluding essay by Octavio Paz. This helped deepen my appreciation for Wang, and motivated me to attempt to transduce the poem myself. Transduce seems a better word than translation for what I’m doing. It is an attempt to transform a distant literary energy to a local one. It follows in the footsteps of Ezra Pound’s Cathay poems. As Paz points out, referring to a TS Eliot remark, Ezra Pound invented Chinese poetry in English. He did this without in fact knowing any Chinese, but working from, as I am here, literal translations. Here are the literal and poetic translations from Chinese Poems. And shines again on green moss. The literal translation of the title’s second word is fence or enclosure, which Chinese Poems uses. The title is most often rendered in English as Deer Park. Weinberger says this is probably a reference to the site of Buddha’s enlightenment. Robert Okaji titles his version of the poem Deer Sanctuary, which I think is the best version if one decides the poem is not primarily a Buddhist one. However, I think it clearly is. As I noted in a previous post, Wang closely associated himself with the Vimalakirti Sutra, which discusses Emptiness with the bodhisattva Manjushri . Wang also studied Buddhism for 10 years with the Chan master Daoguang. Then we get to the first line. How are we to understand empty? It seems an odd word choice on its own. Do we retain it? Most trans(lators)(ducers) do keep it or render it as some version of lonely, or uninhabited. I have to wonder if Wang meant something like either of those why didn’t he just say so? This suggests to me that Wang’s emptiness might be just what I mean when discussing Buddhist Emptiness. On the other hand, contemporary use of emptiness for sunyata may just be an artifact of translation choices of early translators of Buddhist texts to English. Without too much effort I found these passages. The word kong is among Wang Wei’s favorite descriptive word and frequently occurs in his nature poems. It is also the standard Chinese translation for one of the key concepts of Mahayana Buddhism -” emptiness” (Skt. sunyata). What is an empty mountain? Clearly it is not barren as we are informed there is a “deep forest” there. 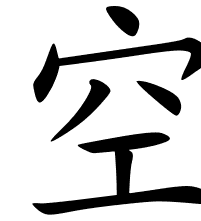 Kong is the Chinese translation of the Sanskrit term sunyata. Primarily the term is a negation – a denial that phenomenon have self existence – that is permanence independent of causes and conditions. So in my transduction, I sought to covey a sense of this Buddhist Emptiness in the first line. To do so in the economical style of the poem is quite a challenge. I don’t think I quite succeeded but it’s a start. The other part of the poem that trans(lators)(ducers) have difficultly with is the last line. Weinberger’s literal translation provides more nuance than the Chinese Poetry’s bare bones approach. As I see the scene, sunlight re-illuminates the forest floor generally, and the moss specifically, which reflects in a figurative sense the brightly lit forest canopy above. I have not encountered quite this interpretation of the last line in my reading so far. I plan to keep at this. I’m take the following as my first version, the start of a path, a variation on my ongoing practice of Emptiness Yoga. The green moss, the canopy above. the object has a similar interiority and a different physicality, and this I call animism…. the object is devoid of interiority but possesses a similar kind of physicality, and this I call naturalism. 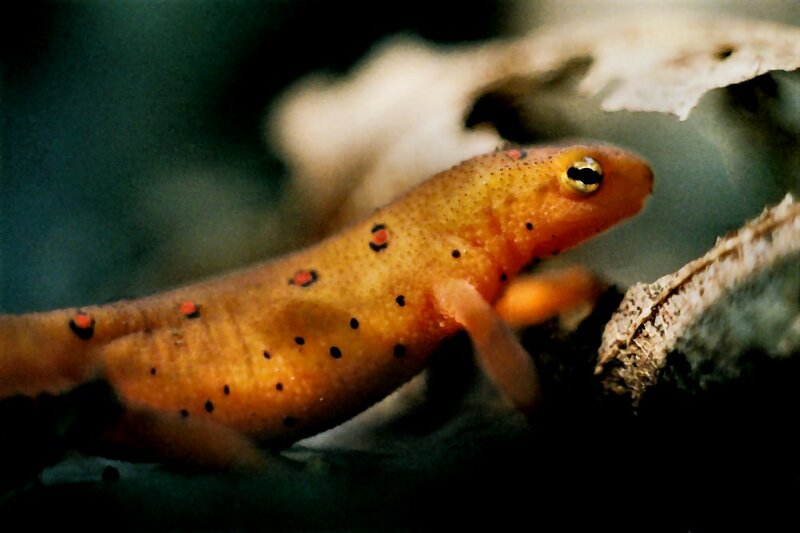 Salamander vibrates between animism and naturalism and so even before the Manhattan Project, before digital computers, salamander was and is digital. Salamander collapses subject and object, figure and ground, living not just in the ground and the water but of ground and water like pouring water into water. The object has a similar interiority and a similar physicality and this I call digitism. In a previous post, I described the events leading up to my grandfather telling me, “You have to understand about mushrooms.” Learning recently about Charles McIlvaine, I recognized something of my grandfather in him. Both, I think, trusted his own experience to a degree that would ordinarily seem to result in an early death, only to have it validated. I found no account of his next 17 years. Another similarity to my grandfather perhaps – a certain mystery about where he was and what he was doing. At that point McIlvaine moved to West Virginia. This is his account of what happened. A score of years ago (1880-1885) I was living in the mountains of West Virginia. While riding on horseback through the dense forests of that great unfenced state, I saw on every side luxuriant growths of fungi, so inviting in color, cleanliness and flesh that it occurred to me they ought to be eaten. I remembered having read a short time before this inspiration seized me, a very interesting article in the Popular Science Monthly for May, 1877, written by Mr. Julius A. Palmer, Jr., entitled “ Toadstool eating.” Hunting it up I studied it carefully, and soon found myself interested in a delightful study, which was not without immediate reward. Up to this time I had been living, literally, on the fat of the land – bacon; but my studies enabled me to supplement this, the staple dish of the state, with a vegetable luxury that centuries ago graced the dinners of the Caesars. So absorbing did the study become from gastronomic, culinary, and scientific points of view, that I have continued it ever since, with thorough intellectual enjoyment and much gratification of appetite as my reward. I hope to interest students in the study as I am myself interested. For twenty years my little friends – the toadstools – have been my constant companions. They have interested me, delighted me, feed me, and I have found much pleasure in making the public acquainted with their habits, structure, lusciousness and food value. 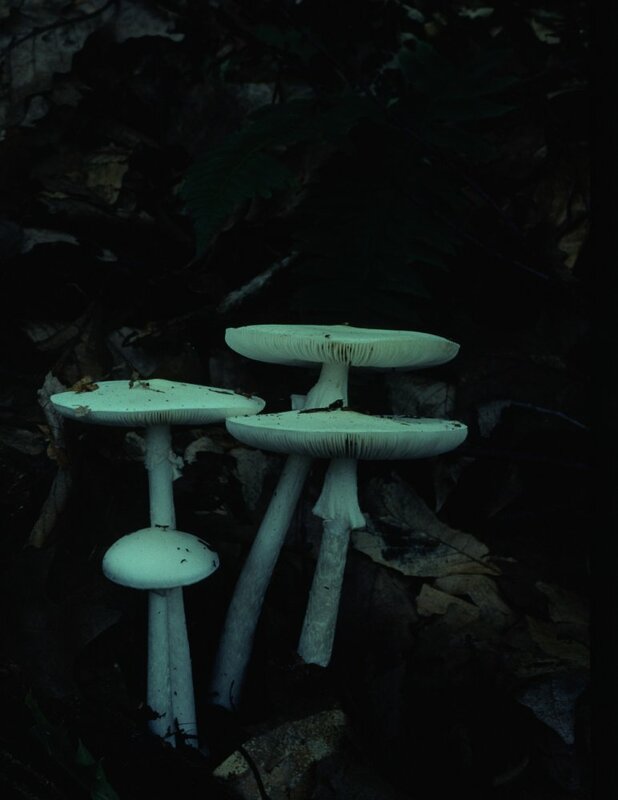 McIlvaine’s method for leaning about mushrooms included eating hundreds of species of them. The ediblity and poisoness of many of these were not known at the time. His nickname came to be “Ole Ironguts”. My grandfather came to America when he was 16. I don’t know what education he had there. His family was well off, so I’m sure whe went to school. But from the rough jobs he had in this country, I’m fairly sure his formal education stopped in Poland. Maybe he began to learn the ways of the forest there. Because of the way he talked about “the woods” I’m sure though, that his knowledge came from extensive personal obsevation and experimentaton. If you ever drank his coffee you would know he deserved the name “Ole Ironguts” as well.